Preheat oven to 350. Combine all but nuts. Stir until well mixed. Use non stick cooking spray for mini muffin pan. We used coconut oil spray but you can use any that you have. Drop 1 tbsp. into mini muffin cups. 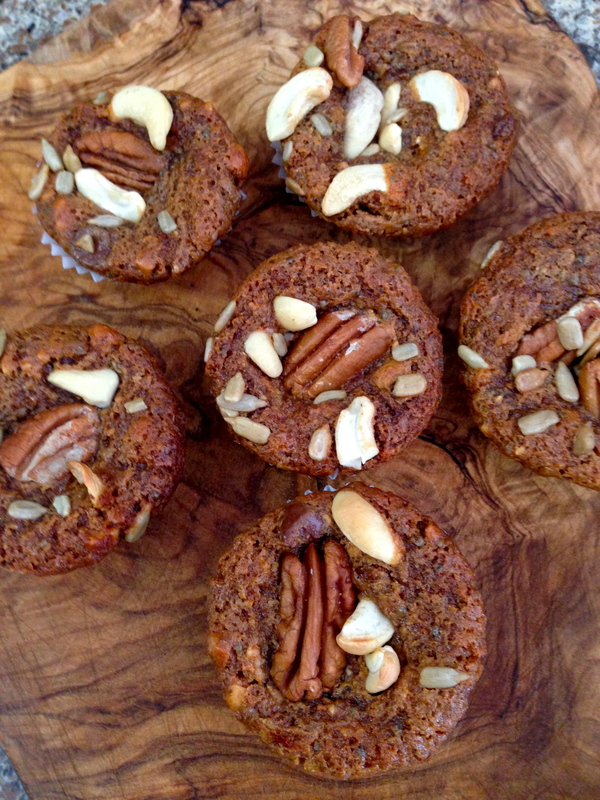 Top the muffin cups with a sprinkle of nuts. Any nuts you like can be used. Bake 10-12 minutes until firm. You may need more or less time depending on your oven. Cool & Enjoy! Be sure if you use peanut butter that you find an all natural one that has nothing but peanuts in it. You don’t want the added sugar type. We used the crunchy style peanut butter that made it a delicious treat. 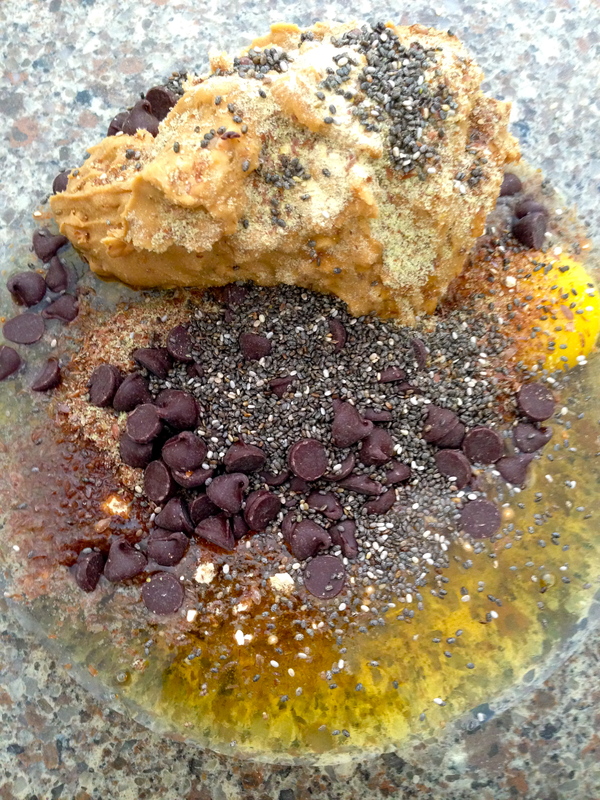 You can also use any type of nut butter in its place and it is just as delicious. For our vegetarians substitute the flaxseed egg for the egg. You can top it with nuts as we did here or make it without. Both ways works great but we do think they make super exciting little bites when topped with nuts. You can also make them with or without chocolate chips. Sometimes when we don’t have chips on hand we make them without which makes a delicious peanut butter cookie taste.